Last time I checked, there were only 24 hours in a day…and you need 8 of them for sleeping! In the other 16, you have to somehow manage to fit in all of your work, while also still hopefully saving enough time to actually get out there and enjoy your life. Add more hours to your work schedule. Get more work done in the existing hours you have. A couple of WordPress-specific productivity hacks. Some tips for constructing your actual physical workspace to maximize productivity. Let’s start our journey into productivity with some of the online tools that work to boost your work output. You will be more productive if you have an organized project management system that you follow for your projects. With a system, you never need to waste time asking, “what’s next?” – it’s already laid out right in front of you, which means you can fluidly move from task to task. If you’re into task batching (knocking out similar tasks all at the same time), project management also gives you the bird’s eye view needed to easily batch tasks together. Todoist – Basic task lists. It’s my personal tool of choice. Trello – Kanban type boards where you can easily manipulate cards to manage projects. It’s also part of my workflow because many of my clients use it. Asana – More heavy-duty project management. It might be overkill for solo freelancers, but it’s great for teams. Time tracking is by no means just for hourly billing. While it certainly helps you with tracking billing, it can actually improve your productivity independent of any practical use. When you work for yourself, you’re never “on the clock”. But if you actually try to put yourself on the clock, there’s suddenly more urgency. You can no longer slack off because you always see that little timer ticking away out of the corner of your eye! And as a bonus, you’ll also get an accurate picture of how much time you spend working productively…and how much time you spend just staring at a computer screen (a surprisingly high amount, in my case!). For example, I found that what I considered to be “8” hours of work per day was actually ~5 hours of real work. The rest was just wasted time. If you’re interested in implementing time tracking, I highly recommend Toggl for its ease of use and beautiful reporting. When Automattic announced the WordPress Google Docs extension for Jetpack, I was jumping for joy. See, Google Docs offers a much more productive interface than the WordPress Editor (I still discover new tricks every day!). But the problem was always that you had to duplicate your efforts when it came time to actually format the post in WordPress. That meant wasted time and less productivity. Now, you can import your fully-formatted posts (and images) from Google Docs to your WordPress site with just a single button click. Seriously, this feature will save you a ton of time if you use Google Docs to write. Just go here and grab the official WordPress Google Docs extension to get started. 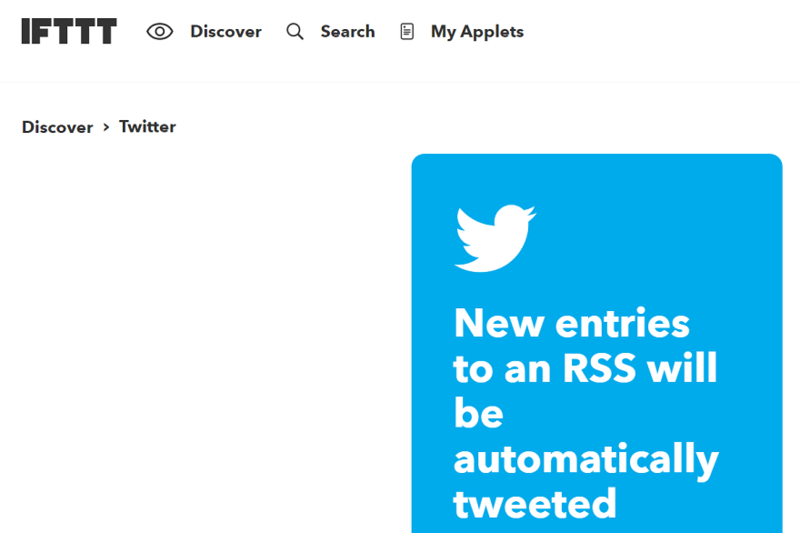 If you don’t already know what IFTTT and Zapier are…I’m about to blow your mind because these tools allow you to automate huge chunks of your workflow. Connecting two separate apps so that when something happens on App A, something also happens on App B. If you publish a new post on WordPress.com, automatically tweet that post out. If someone submits your contact form, automatically create a task in Todoist. And those are barely scratching the surface of what you can do with IFTTT and Zapier. Think of all the repetitive tasks you have to do every day…and then try to find a way to automate them with IFTTT or Zapier. You won’t be able to automate everything, but I bet you can find some simple ways to save time. How many times has this email chain played out in your inbox? A: When could we schedule a Skype call to chat? B: Can we do next Tuesday at 2 pm? A: Sorry, I’m busy. What about next Wednesday at 3 pm? You get the point. It might “feel” productive to respond to emails like that…but I promise you that you’re just wasting time. So what’s a better solution? Use an automatic meeting scheduler. You just give your contact a link with all of your availability. Then, they pick a time that works for them and everything is automatically added to Google Calendar. No wasted time spent going back and forth. There are a bunch of tools offering this functionality, but a good starter is Calendly. Ok, this one is a bit of a niche use. But it’s something I’ve recently discovered and it can save you a ton of time…if it fits your scenario. You have a basic “format” for your blog posts that constantly comes up. So, instead of manually formatting it for every single post, you create custom fields that do all of the work for you. Without custom fields, I’d have to go and grab the Google Maps embed code, write in the location type, and format the name and address. Not a ton of time, but it adds up. But with custom fields, all I have to do is paste in those details to a couple custom fields on the backend, and then everything shows up perfectly formatted on the front end (including automatically embedding Google Maps using Google’s API). Using and displaying custom fields will require a little bit of knowledge. But a plugin like Pods makes the whole process fairly accessible. Up until now, everything I’ve shared has been focused on making you actually work more productively. But this one is all about eliminating the insidious productivity killers that are sites like Facebook, Twitter, and Reddit. Blocks those time-wasting sites (which you’ll want to do immediately after seeing the first number!). All those tools I listed above won’t help you much if you’re working under terrible conditions. So if you want to master productivity, you need to optimize your physical space just as much as your digital space. I never really believed the hype about ergonomics until I bought a laptop stand on a lark. Now? I’m a convert. Proper ergonomics make it infinitely easier to stay focused (and comfortable) over long periods of time. And that means you’ll be more productive! But it’s not just about productivity. If you spend all day at a desk, proper ergonomics will make your whole life better. No more neck pain…no hunched shoulders…I cannot stress how important this tip is. So what are proper ergonomics? Your screen should be 20-30 inches from your eyes. Your elbows should type at a ~90-degree angle. Because some of these numbers depend on your height, The Human Solution put together a great tool to help you calculate your ideal desk and chair height, as well. And a 2014 study from Northwestern also found that natural light boosts health. So if at all possible, try to get at least a little bit of natural light in your workspace. Did you know that plans are actually scientifically proven to make your work more productively? A three-country study found that adding plants to an office space increased productivity by a whopping 15%! Now, I didn’t add plants near my desk for this reason…I just think they’re nice to look at. But 15% more productivity isn’t a bad secondary benefit! And if you’re not a plant person, studies have noticed a similar effect with adding art to your workspace. Be careful with this one…because once you try a multi-monitor setup, you may never be able to go back to a single monitor. Multiple monitors are amazing for anyone who needs to do research. With a single monitor, you have to constantly tab back and forth between the research and what you’re working on. With multiple monitors, you can leave the research open on one screen and work on the other. Just be careful that you use the second monitor to actually make yourself more productive. It might be tempting to use the second monitor for something like…YouTube videos. And that is definitely not a recipe for increased productivity! You know how people always say you should invest in a quality mattress because you spend a third of your life sleeping? Well, if your workday consists primarily of typing on a keyboard, the exact same thing applies to your keyboard. Don’t rely on the cheap chiclet keyboard that came with your laptop – invest in something that’s a joy to use. And in my opinion, that’s a mechanical keyboard with Cherry MX Blue switches. And they also have a good chance of making you a faster typist, which naturally is going to boost your productivity. If you’re interested in upgrading, The Wire Cutter has a great roundup of quality mechanical keyboard models. Productivity is one of those pursuits that never really ends. There’s always another trick to employ and another habit to implement. But if you have a solid set of tools and a physical work environment that’s conducive to productivity, you’ll be most of the way there. Now it’s over to you – what’s your best productivity tip for WordPress or work in general? I’d love if you shared in the comments so that we can all be more productive. Colin, we’re on the same page. I agree with and apply almost everything here. I definitely need to get a plant though. I have them everywhere except at my desk. Monitor rehab is a scary place, i went into rehab with 6 monitors, ive managed to cut back to two now, Its a hard addiction to escape from. Using a multi-monitor dramatically improved my productivity. And you’re right, I have a hard time working with just one screen when I travel. I actually went with a wide screen monitor that allows me to split the screen into two virtual monitors so it accomplishes the same thing as two monitors. This tip is huge and glad to see I’m not the only one that thinks so. Thanks Colin, honestly this article has inspired me beyond WordPress platform. I appreciate the info shared. Kudos! – do not subscribe to many newsletters or you will get too many notifications per day. – close your email client or it will pop up all the time. Check your email when you have finished a work. – send an email every time you are finishing a work. It boosts you, as if you were claiming “work done” ! – Use paper and pencil, you can have a to do list beside you. You will strike out every task done but it won’t disappear (like on screen), it will encourage you. – if you work alone, have lunch, a call, a meeting with someone at least one time per day. – clean you desk at the end of the day : tomorrow will not look like “yet another day like yesterday”. – pause at least 3 times : read, listen music, and go away from your screen. – use glasses with LED blue light protection to manage your eyes. Just before getting the notification for this article was checking blue light blocking goggles on Amazon, will definitely put it on my shopping list along with a subscription to toggl. Really nice one-line suggestions! Thx. Great advice, Frederic! I’ve tried all the productivity apps and found pencil & paper to be just as essential. Plus, keeping the email client closed is huge for productivity. One more thing I have to do is keep my office door closed. I have a wife and two kids and if the door is closed, go find mom! Just one comment in addition…. The worst for your eyes: backlighting. The windows are always on the sides. Natural light should come laterally. If it comes behind the screen it produces a backlight effect that causes visual fatigue. If you have the window in front of the screen it produces shine that also damages your eyes (remember, we are many hours in front of the screen). That is the reason for the side light. I always use natural light or light bulbs with color temperature of 4000k (neutral white, most similar to natural light). If you’re like me, you like this window behind your screen to have an open spacial feeling. 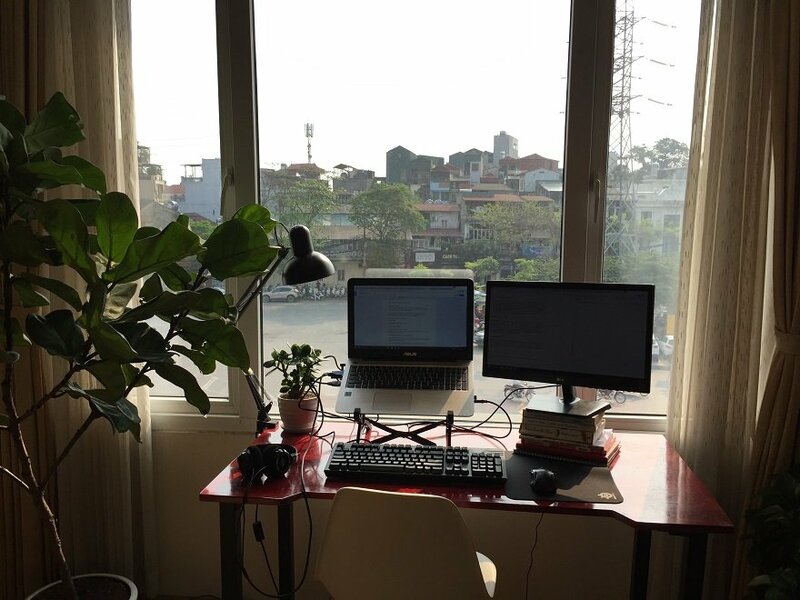 My ideal has been either an open workspace, with my back to the wall, or a window to the side so I can feel an open space but not get backlight behind the screen. I have to agree with Marcos about the window thing. When I worked in an office I had them rotate my entire desk and work space because of a window. I guess you could close the curtains but then that negates the “natural light” bonus. I also agree with one point Frederic made about pen and paper. Although I like to keep online schedules as well, a good old fashioned calendar book and pen for to-to lists is motivating for me. I like scratching things off a list and seeing it accomplished. Great post on all the other points! Thanks. Colin. Great article… couldn’t agree more about plants and art work. I also feel that taking some time out for some sort of physical workout, like jogging or yoga, can also add more zest to your work hours. I have found out that it helps you focus. How would you build a task manager site like Todoist using Divi? To me a mechanical keyboard doesn’t feel significantly different than an Apple keyboard. If anything, the Apple keyboard has less travel in the key presses, meaning less work my fingers have to do to register each press. Oh man….. thats i farrrrrrr from the truth. I am not sure what mechnical keyboards your using… but the difference between something like an apple keyboard and a mechnical is very different indeed. This is the keyboard im using currently and will never go back to a traditional keyboard, infact when i do i HATE IT. These are great ideas and you have inspired me to look into using Trello again. One idea that helps me be more productive is to take a break every 90 minutes or so. I remove myself from my office and do something completely different, usually a quick walk or a little time in my garden. Getting away from the computer screen gives my eyes a rest and I often come back with solutions to the problems that have been on my mind during the day which is an added bonus. John, it sounds like you are using the Pomodoro Technique. In short, you are breaking your work in time chunks (from 30 min to 2 hours for most people) and tuning the world out for that time and getting as much done as possible in that chunk of time. Nice mix of ideas in this article. I already use Trello, but hadn’t seen some of the other tools. I’m definitely with you on the ergonomics = productivity front, because that’s what one of my websites is about! If you’re interested, I recently set up an RSI Challenge – a short email series to help reduce RSI pain by improving your Workdesk ergonomics. Oh, and I concur with the others: turn your desk 90 degrees to the window, or you’ll likely get terrible eye strain. Great article, some really useful points. I already implement some of them but you have listed some great new ones and some of the comments add to that too. I never knew you could get a laptop stand like that. I’ve it feeling it will be added very quickly to my wish list. Really useful article, thanks. Just wanted to contribute a little. There is NOTHING like a mechanical keyboard. In the stores, they are known as gaming keyboards and the feel has to be felt to be believed. Mine has Cherry MX Black keys and I am sure it makes me a faster typist. When I travel, I carry a laptop and put a small mechanical keyboard in my luggage. It makes a hell of a difference, believe me. I use a three monitor setup. two on one computer and one on another. Writing and research are on the main computer but the oft necessary excursion to look at something on the net is best on the single system. Along with the mechanical keyboard, I have a gaming mouse with several buttons including twelve buttons at the thumb. Each of those is assigned to a macro that does some multi-step repetitive task. THAT saves time. I play music (Pandora) but it is all instrumentals so I do not start to sing along and lose focus. This last thing is a little extreme, but all of my monitors are set right at 27 inches from my eyes. I then had my eye doctor make a pair of single vision (no bifocal) computer glasses set to 27 inches. When you sit at your computer like I do, all this stuff matters. Wonderful sharing! I will apply for my online marketing workspace as well. But I will change some decoration style as my own style. Thanks for this great advice! great tips. Absolutely agree with digital tools. I can recommend Asana which I use daily in office and it makes my life much easier. I can share all the tasks and their progress with coworkers without sending individual emails and it helps me in time when I need work home office. I am also going to buy some plants to my office space and measure my desk and chair height, tomorrow.